Irrigation North Carolina - Why Choose Gra-Mac Irrigation? When shopping for irrigation equipment, you want to get the highest quality products at an affordable price, so it’s important that you choose the right supplier. 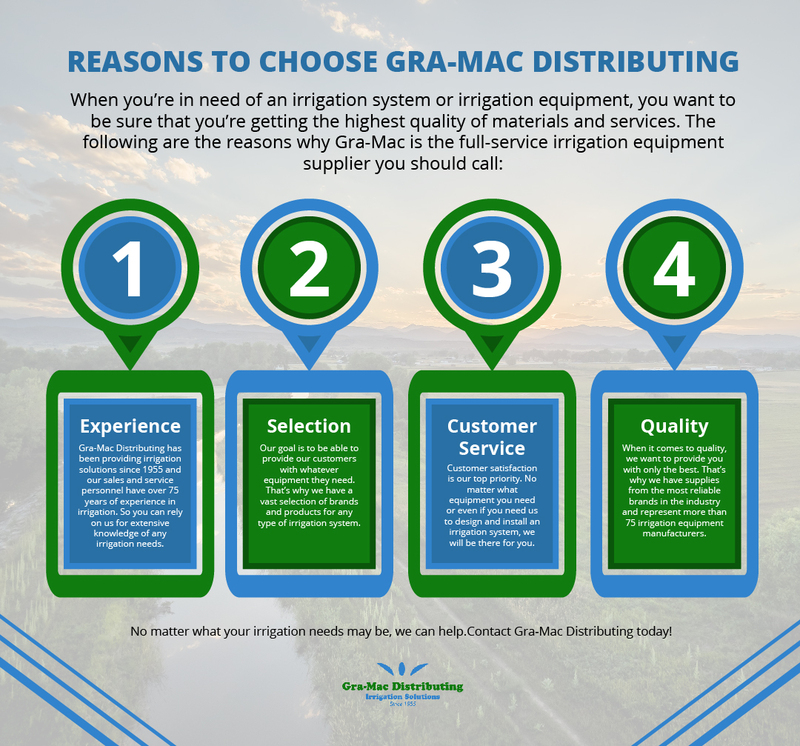 Here at Gra-Mac Distributing, we know that we are not the only company offering irrigation equipment supplies and installation services, but we do believe that we’re the best. 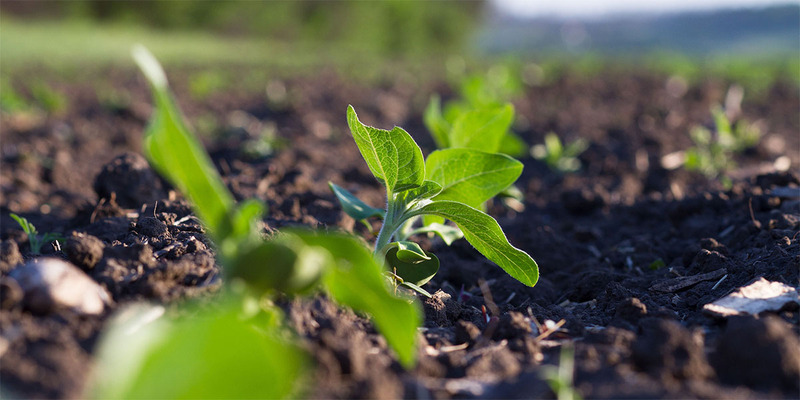 In this blog post, we’ll let you know what makes our company unique and the most trusted full-service irrigation equipment supplier serving North Carolina, South Carolina, Virginia, and Tennessee. If you would like more information about our company or the products that we sell, then go ahead and contact us today! So if you’re wondering if we know a thing or two about irrigation, we know it all! You don’t want to have to go on a wild goose chase trying to find all of the irrigation equipment that you need — getting one piece of equipment here and another there. That’s why here at Gra-Mac, we make sure to have everything that you need! We have a vast selection of brands and products. From equipment for chemigation, fertigation, filtration, and drip irrigation to pipe and fittings, pumps, hoses, and so much more! The most important thing for us is customer satisfaction. No matter what your irrigation needs may be or how large of a project, we’ll be there to help. We pride ourselves on exceeding expectations, and that doesn’t stop at the products that we sell. We can help you find the right irrigation system for your needs and will even design and install it for you! We want our customers to get the best quality of products at the best prices on the market. That’s why we don’t just offer a couple of brands, we sell high-quality supplies from all of the most reliable and well-known brands in the industry. We represent more than 75 irrigation equipment manufacturers to make sure that you have the best selection to choose from. Irrigation systems are used for countless reasons, from helping provide the water your fruits and vegetables need to grow to making sure that your athletic field is green and ready for the game and so, so many more uses. But no matter what equipment or irrigation system you need, you can count on us to help every step of the way. If you have any further questions about our irrigation equipment or the services that we provide or are ready to get the perfect irrigation system installed, then be sure to contact us today. We’re always here for our customers and will be more than happy to help.